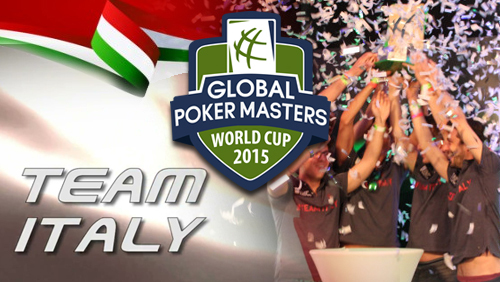 Team Italy has won the inaugural Global Poker Masters after defeating team Russia in the final. Team UK picks up the wooden spoon. 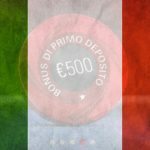 The Italians are the first winners of the Global Poker Masters (GPM). Let’s hope it’s just the beginning of an event that seems to have picked up nothing but universal praise. 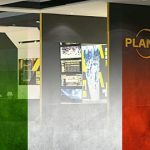 It was dubbed Poker’s World Cup (a rather big poker company has the trademark to the better sounding World Cup of Poker) and for followers of World Cup’s a few things changed and a few things didn’t. As a Brit, my experience with World Cup’s is pretty simple. Football is my game; England my nation. 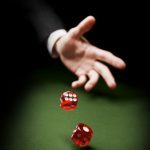 We generally play crap and lose. But every now and then we play outstanding…and lose…usually against Germany. The Global Poker Masters was no different. Speaking to PokerNews, Simon Deadman, revealed the true reason behind Team UK’s dismal first round exit. Memories of Gazza narrowly missing the ball at the far post flashes through my mind. With the UK holding the wooden spoon, at the end of the Sit n Go portion of the tournament, it was the Americans who topped the table. That gave them a bye into the semi-finals. The quarterfinals were a series of heads-up matches. Points were earned for victories sustained. Team France lost all three of their matches against Team Russia. ElkY, Loosli and Tedeschi getting their asses handed to them on the plate to become the second team eliminated from the event. The Semi-Final was six-max action. Here were the chip stacks at the beginning of play. Each team nominated a player, to partake in the six-max action. Players could be changed at the end of each level. The Americans pushed Ukraine to one side after Dan Smith hit Oleksandr Gnatenko for six (set-over-set). The former GPI world number one, Dan Smith, then eliminated the pre tournament favorites Canada in a flip against Ami Barer to leave us with four teams remaining in the hunt. Once again Team USA acting as the battering ram, and it seemed that Ike Haxton and Dan Smith were going to take the title at a canter. Team Italy fought well. 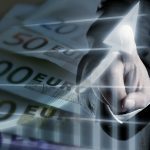 They grinded their stack up to a dominating position, before pulling off the shock of the tournament. Dario Sammartino picked up the rockets and pushed a four-bet into the face of Smith, who held pocket sevens. Ike Haxton was in Smith’s corner. Only this time he wasn’t. Apparently, he had popped out for some air. It was bad timing. Smith, with no one to confer with, moved all-in, Sammartino called, and the Americans were out. That left Team Italy to face Team Russia for the title. 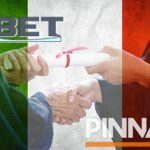 The Italians won all of their heads-up matches, to become winners of the first Global Poker Masters. “Glory for me is really more important than money. It’s better than an EPT title. It’s incredible.” Giuliano Bendinelli told PokerNews. “And he’s not even kidding.” Rocco Palumbo told PokerNews. “We built the team during the event. We started as five players and we finished as a team.” Said Dato. Words that create a perfect ending to a perfect tournament. That’s how you Sportify poker.